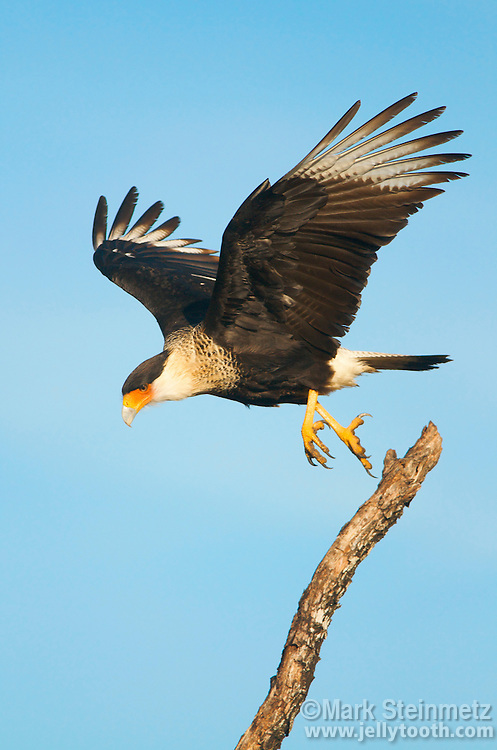 Crested Carcara (Caracara cheriway) in flight. An uncommon bird of prey found in a limited range within the US, in Texas, southern Arizona, and Florida. More common in Mexico, Cuba, Central American, and northern portions of South America. Primarily feeds on carion, lizards and small mammals. Lower Rio Grande Valley, Texas, USA.